Although “The Audrey Test” doesn’t have a set of definitive answers (and although I am often tempted to add more questions), I am currently working with Software Carpentry’s Greg Wilson to pull together a guide based on it and related issues. We’ve solicited input from a number of people who’ve been working in this field since long before this latest flurry and excitement over the impending “ed-tech revolution” – folks who can give some historical perspective, some research-based insight, and some clear definitions on key terms and topics in education, technology, teaching, and learning. Our goal is to have this finished by September, which means I’ll be spending the next few weeks working on many of the entries. Below is a look at 5 of the most important education theorists of the 20th century. And yes, I realize there are others who’ve contributed to the field. I’d love to hear suggestions from readers about “who’s missing.” Even better? Offers to write those sections of the guide. You’ll find this and other articles in our work-in-progress-wiki. Why Should Techies Care About (20th Century) Education Theory? Rather than outline the history of education or the history of education theory from Plato the philosopher to PLATO the online learning system, here is a brief overview of 5 of the 20th century’s most important educational theorists. Their influence can still be felt today, both in how we view the educational system and the educational process. As is the case with most theories, these individuals’ work has been adopted, refuted, tweaked, and ignored to varying degrees. Implied here, of course, is that knowing both the history of education and theories of education are important. The case for the former is made best, arguably, by George Santayana: “Those who cannot learn from history are doomed to repeat it.” The case for the latter: we all have theories about how and what people should teach and learn – whether we are conscious of this or not, whether we have studied the subject formally or not. In part, it’s because we all have experiences as learners and as students. Recognizing this and in turn looking to the work of those who’ve thought deeply and researched extensively on the subject can help us think critically about how we approach education – again, as a system and a process. 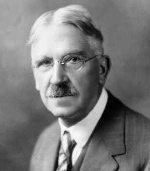 The American philosopher John Dewey was one of the leading proponents of pragmatism, a school of thought that argues that theory and practice, ideas and reality are not divorced. His publications on theories of knowledge included How We Think (1910) and Experience and Nature (1925). Dewey may be best known for his writings on education, including The School and Society (1900) and Democracy and Education (1916) – but “best known” does not mean that his views have ever been widely adopted by the mainstream U.S. school system. Dewey believed that schools were places in which children learned the habits of democracy – that is, how to participate fully in civic life. As such, schools are important institutions that reflect, but more importantly can reform society. It’s a mistake to see schools as separate from society, he argued, where students are trained to be good workers or good citizens. Rather, schools are an extension of civic society and students must have a stake in both the community (inside and outside of the school walls) and in the learning. Dewey argued that learning comes from doing, but the importance is less about gaining certain knowledge than experiencing the process of inquiry and problem-solving. As such, Dewey is often credited with developing the idea of project-based learning. 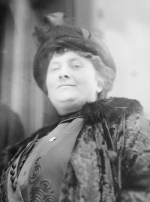 Italian physician and educator Maria Montessori first developed her ideas about learning while studying medicine, specifically pediatrics and psychiatry. Much of her early career was spent working with mentally disabled children and devising ways to instruct them. She started her first school in a working class neighborhood in Rome in 1911. The school was based on and the basis for Montessori’s “scientific pedagogy” and enrolled children between the ages of 2 and 7. While the school was originally equipped with many of the things we might recognize in contemporary classrooms – a blackboard, a teacher’s desk, tables for the children to sit at – Montessori redesigned the room in ways that the children could manipulate the furniture and all the other items in it. That emphasis on student choice and on the learning environment remain two of the central pieces of the Montessori method of education. The Montessori classroom is designed so that children have freedom within certain limits and so that they can work uninterrupted at “purposeful activities” that develop sensory, practical, and intellectual skills. While most Montessori schools still focus on young children (in a multi-age classroom), programs do exist up to and through high school. Swiss cognitive psychologist Jean Piaget founded the discipline known as “genetic epistemology” – that is the origins or development of knowledge. 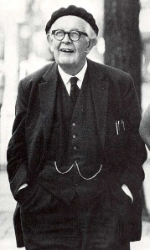 Initially interested in zoology (he published several academic papers on mollusks by the time he turned 15), Piaget’s interest eventually turned to children’s intelligence after he started teaching at a boys’ school and found while grading exams that young students made different types of mistakes than older ones and adults did. This helped spur his interest in cognitive development and his argument that children’s minds develop in stages, giving them the cognitive abilities to learn certain things only after passing through these stages, regardless of their intellectual capabilities. These stages are: 1) sensori-motor (from birth to age 2) where the child learns to distinguish objects from the self; 2) pre-operational (age 2–7) where the child learns to use language and represent objects with words and the egocentrism associated with that first stage starts to disappear; 3) concrete operational (age 7–11) where the child can think logically about objects and events; and 4) formal operational (age 11 and older) where the child can think abstractly and systematically. Piaget argued that children use the processes of assimilation and accomodation to create mental frameworks to understand the world around them. In other words, when faced with new information or scenarios, children draw on previous knowledge and experiences to make sense of things (that’s assimilation) or they adjust their previous schemas in order to make sense of the new information (accomodation). Piaget’s work has been particularly influential in early childhood education and in thinking about how we scaffold learning so that it builds on previous knowledge as well as on students’ cognitive abilities. 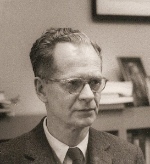 American psychologist and philosopher B. F. Skinner was a behaviorist – a “radical behaviorist” in his terms. Behaviorism is a school of psychology that sees all actions by an organism as behaviors that can be modified or shaped by reinforcement or by changing the environment. Among his best known inventions is the “operant conditioning chamber” (better known as Skinner’s Box) – where animals were observed changing their behaviors under certain conditions. Rats, for example, learned that if they pulled a lever, they got food; and so they pulled the lever quite frequently. Skinner’s research was very influential in education, but as the inventor of the Skinner’s Box, he was sometimes criticized about treating humans the same way he treated lab animals. Skinner invented a crib, for example, that was meant to help keep a baby warm, clean, and safe, but when the Ladies’ Home Journal wrote an article about it titled “Baby in a Box,” the response was far from positive, and sales of the crib never took off. 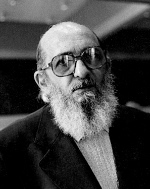 Brazilian educator and philosopher Paolo Freire is probably best known for his book The Pedagogy of the Oppressed, published in 1968. That date of publication is important, as Freire’s work is intertwined with the liberation theology movement in Latin America as well as with larger anti-colonial movements, revolutions, and coups (in Algeria, in Vietnam, in Brazil, and so on) of the time. Freire worked with poor communities in Brazil, teaching them literacy, before being imprisoned and later exiled. Freire’s book (and his life work) draws heavily on Marxist theory in which he makes the distinction between colonizers and the colonized in society and the role that education plays in furthering injustice. For Freire then, education is necessarily a political act, whether it’s one of oppression or (hopefully) liberation. Among Freire’s important contributions to thinking about the politics of pedagogy is his opposition to what he calls the “banking model of education.” This idea that students are empty jars to be filled by teachers “transforms students into receiving objects. It attempts to control thinking and action, leads men and women to adjust to the world, and inhibits their creative power.” Like Dewey (and other theorists too, including Rousseau), Freire argued that students have to seize control of their own learning and by extension their own selves – “conscientização” or conscientization. Who in tech has Freire influenced? Me.